Fast-fix Ceiling Brackets can be used to fix lengths of cable basket to the ceiling via the two anchorage points in the bracket. Available to suit 100mm, 150mm, 200mm and 300mm sized cable basket. The Fast-fix Ceiling Bracket has a corrosion resistant coating and an electrically conductive component which is non-flame propagating. 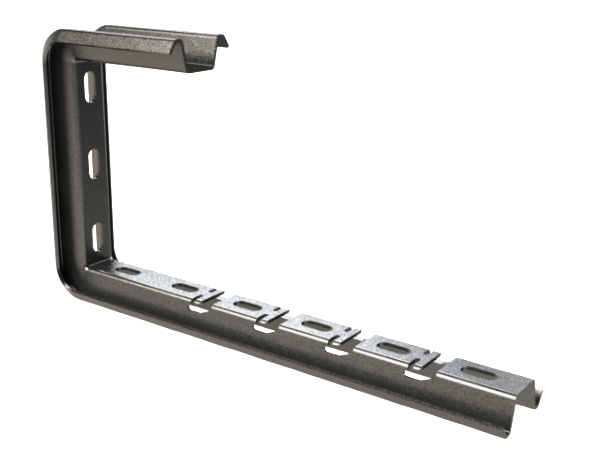 The bracket has been designed to have the minimum free height which still allows for the effective installation of cables. To suit 100mm up to 300mm sized cable basket.